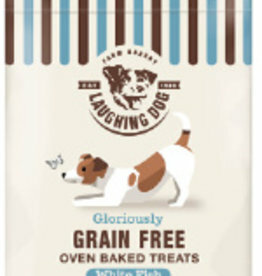 Laughing Dog Oven Baked Dog Treats, Cheesy Oaties 250g. 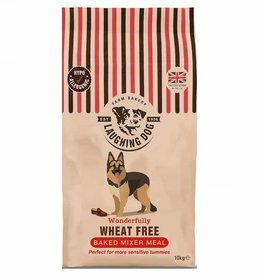 A complementary pet food for dogs. Made with Lincolnshire cheese and broccoli. 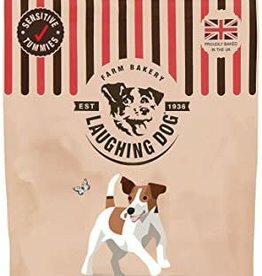 Laughing Dog Oven Baked Dog Treats, Dental Oaties 250g. 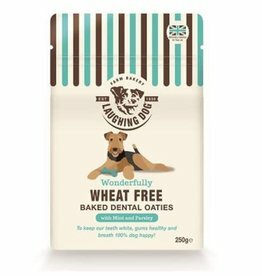 Fresh Breath/Dental - contains parsley and mint to naturally freshen breath. 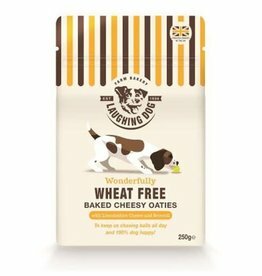 A tasty oven baked, hypoallergenic biscuit meal. 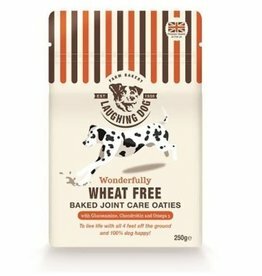 Wheat free meal is a fantastic complementary biscuit to be fed with meat or as part of a BARF diet.